In many respects, 2018 can be considered the “year of recovery,” especially in music and pop culture. As the stigma that has historically surrounded addiction continues to crumble and the condition is being increasingly recognized as a medical disease rather than a moral failing, more and more recording artists are feeling free to convey their experiences with addiction and recovery through song, inspiring others. Very often, we look to art to exemplify what is happening in society and use media as a lens to magnify daily reality. By this measure, it can be safely inferred that more and more people are feeling comfortable talking about their substance use disorder and asking for help. Last year we saw the best- and worst-case scenarios in the addiction and recovery struggle. We saw artists rise above their substance use disorder and reclaim their lives, and we saw others ultimately lose their battle, leaving their loved ones and legions of fans behind. Through all of these stories, however, runs a common thread of wisdom. These stories compelled us all to mourn, celebrate or breathe sighs of relief, and reinforced the universal humanity of the disease of addiction. The songs about addiction and recovery that we’ve heard over the past few years run the emotional gamut from desperate realism to bittersweet growth to inspiration and positivity. They painted painfully illuminating pictures of life in the grips of addiction and showed us that there is a way out. Underoath – “On My Teeth” – A characteristically heavy and deeply resonant comeback piece after nine years of absence from the scene, “On My Teeth” is a true return to form. The song is a direct reminder of how even the seemingly positive influences in our lives can derail our ultimate wellness. Lil’ Peep – “Cry Alone” – Released posthumously after Little Peep’s death from drug overdose in 2017, “Cry Alone” paints the portrait of a conflicted protagonist ever on the decline who is in the unenviable position of fearing yet embracing substance abuse. The 1975 – “It’s Not Living (If It’s Not With You)” – This sardonic and deeply confessional account of heroin addiction is a reminder that each and every one of us can be ensnared by this disease, but that we can also make it out the other end and live to tell the tale. It’s an almost hymn-like pop composition that perfectly belies the message of bittersweet rebirth. J. Cole – “Once an Addict” – This hip- hop powerhouse features a laid-back and dreamlike musical arrangement over which J. Cole delivers a tense and nightmarish message about the permanence of addiction. “Once an Addict” pulls no punches in discussing what addiction does to families and the most vulnerable parties of all: children. Mac Miller – “Come Back to Earth” – This prophetic and jarring portrait of accountability takes on a whole new meaning on the heels of Miller’s death late last year. “Come Back to Earth” is a too-close-to-home window into isolation and the things we tell ourselves when we think there’s no way back. Jeff Tweedy – “I Know What It’s Like” – Delivered through Tweedy’s signature folk aesthetic, “I Know What It’s Like” is one piece of a puzzle of self-realization that sees life through the eyes of an experienced and scarred person in recovery. Disturbed – “A Reason to Fight” – A song that’s every bit as high-stakes as its title would have you believe, “A Reason to Fight” starts with a palpable tension and never lets up. The song reminds us all that even in the face of the bleakest and most desperate addiction, there’s a way back to recovery and our old lives. Angaleena Presley – “Pain Pills” – Breakout country artist Angaleena Presley takes us through the emotional pitfalls of painkiller addiction in this uncomfortable yet deeply powerful piece. Richard Swift – “Dirty Jim” – Swift’s alcohol addiction ultimately led to his demise, but not before he was able to leave this deeply resonant letter of apology and cautionary tale to his family and his fans. Calvin Harris and Rag’n’Bone Man – “Giant” – This explosive and dynamic track mixes elements of EDM, orchestral instrumentation and vocal chants to deliver something truly special. The common lyrical thread is one of self-awareness in the face of substance abuse and ultimate recovery. Why Are Addiction and Recovery Songs So Important? The music we listen to and the art we consume play a profound and influential role in our everyday lives whether we realize it or not. 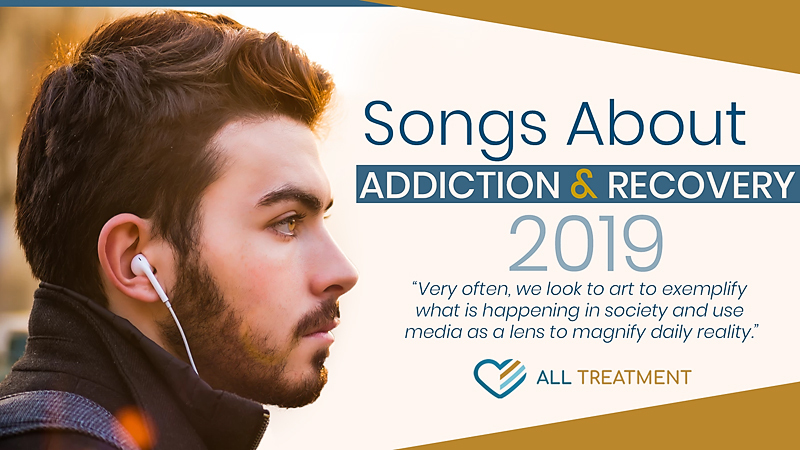 Songs about addiction and recovery let those who are in recovery or currently actively struggling with substance use disorder know that they’re not alone and that help is available. In a situation where it can seem like nobody is listening and sufferers’ pleas for help are going unanswered, we can look to these songs as a reminder to the contrary. 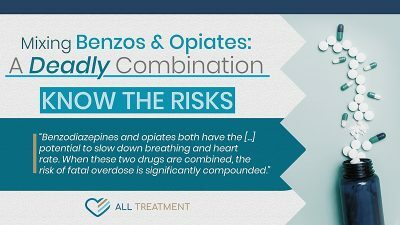 If you or someone you care about is struggling with addiction or substance use disorder, get the help you need now.